It’s interesting to watch ghost stories and folklore develop during an age of social media. 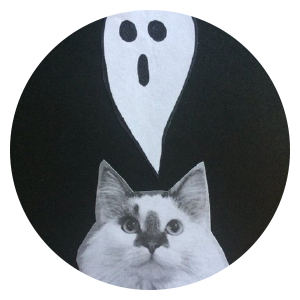 Can ghosts manipulate YouTube, Instagram, Twitter, or whatever to communicate with the people they left behind? Today’s ghost story made its rounds on the internet and, although we can only trust people on the internet so much, it’s an example of how ghost stories adapt to our technology. We’ve all looked up an ex-boyfriend/ex-girlfriend on Facebook, but would you in your afterlife? This spooky story is about a man who received Facebook communications from his deceased girlfriend. The story first appeared on Reddit, but Buzzfeed provides a good overview with pictures.